« Ben’s older than he looks–and behaves! 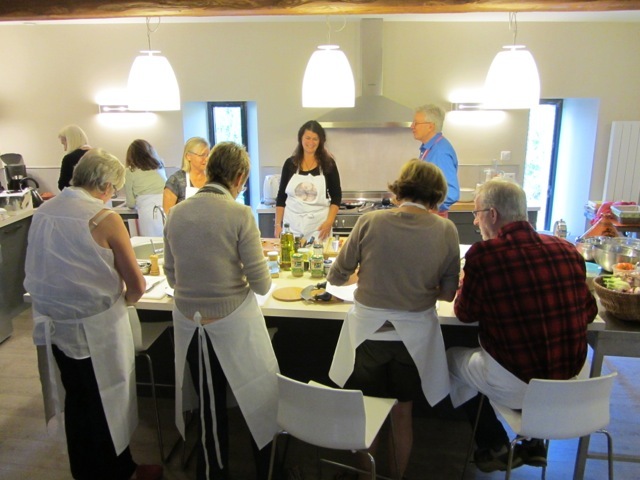 We’ve reserved la Terrasse in Lautrec for the first weekend in May 2013 (2nd–5th) for my spring Cooking with Robin workshop. Click on the tab at the top of my blog (Cooking Workshop) for the details. Read about the Bravehearts who came to the first last weekend. Thanks Melanie!–a little optimistic with the forward planning. Hi, small typo in ‘arriving staying on’ 4 Oct.